Global Cardiology Electrodes Market for the forecast period 2019-2023.
responsibility and approach healthcare facilities to get diagnosed. electrodes in these healthcare units. 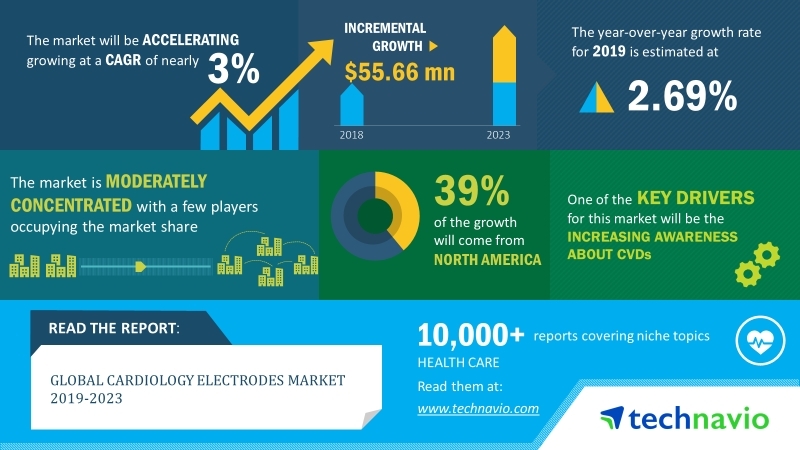 fibrillation will drive cardiology electrodes market growth in Europe. Europe,” says an analyst at Technavio.